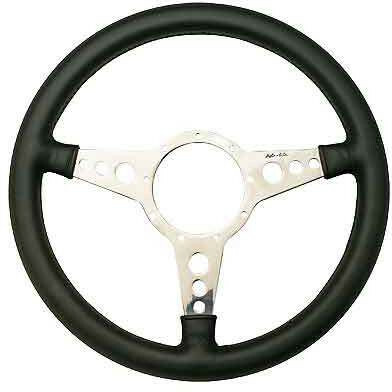 Moto-Lita Mark 4 leather rim steering wheels with 3 spokes, available in four variants. Premium quality black cowhide, handsewn over rubber handgrip. Heavy gauge aluminium alloy spokes.Black anodised or polished.